As I am sure you are all aware, Easter is just round the corner! Easter for me, means copious amounts of chocolate (in any form) and a serious, serious, amount of binge eating. Here at bump HQ We have even dedicated a full day to all food Easter as well as the not very relevant, but just as yummy Chili B’s (a bump favourite). I have decided to do my bump blog piece of my 5 favourite Easter eggs, yes this may sound silly, but trust me I take chocolate very seriously. 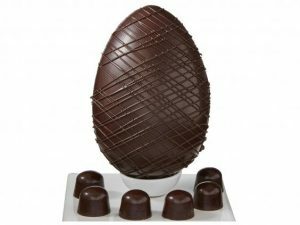 If dark chocolate is your thing, then this dark chocolate egg from Waitrose is perfect for you. It contains 81 per cent cocoa and is certainly not bitter, instead it is ridiculously creamy. Confusing right, to be honest I found it rather addictive and I’m not even a dark chocolate kind of gal. Finally if I haven’t already sold it to you, it comes with dark chocolate salted caramel truffles. Yummmmyy. 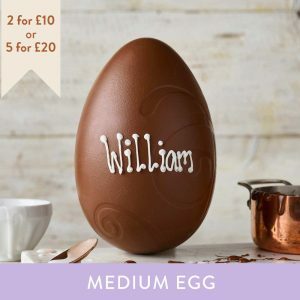 This Easter egg is a winner, not only is it big, yes and delicious, it’s also personalised! How on trend can an Easter egg be? 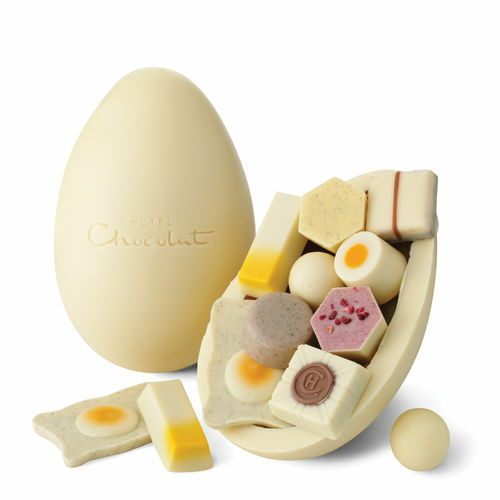 Made with Thornton’s finest milk chocolates this Easter egg is sure to make your special someone extremely happy. This one may be pretty standard, but in no means can it get missed. This Maltesers chocolate Easter egg is a must have. Who doesn’t love Maltesers and even if you don’t they are known to taste even better in egg form. We recommend this egg to be served with a hot cup of tea and a chick flick, who’s in? 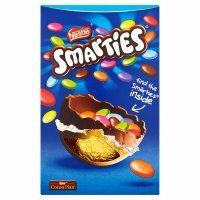 The Nestle Smarties Easter Egg is the perfect egg for your little one, not only does it taste nice. This egg can be shaken and all the little Smarties in the middle make a fun noise, this should keep your little one occupied a bit before they demolish the chocolate!